Whether you are a wine aficionado or simply like to pick up a bottle while you are on holiday, one of the most difficult things can be protecting wine while you are travelling. Whether you want to check some wine into your luggage on a plane or store it while you tour in a car, here are some tips to ensuring you get the wine home in top condition. Rules about wine on planes can vary somewhat but the UK, US and the EU have all adopted similar rules following terrorist incidents involving bottles on planes. Individual airlines also have their own rules so it is always worth checking with the company you are flying with to see what they say about the matter. Generally, wine and hard alcohol aren’t permitted in a carry-on or cabin baggage if it is more than 100ml or 3.4oz. in size – which wine bottles will definitely be. The only exception can be if you have purchased the wine in the duty-free area. If you do carry a bottle of any type onto the plane, you cannot usually open it during the flight. If you are flying within the EU, you can carry wine less than 24% alcohol in an unlimited amount, with weight restrictions obviously applying. If you pick up some stronger spirits between 24-70% you can carry 5 litres per person internationally and 10 litres in the EU. You can’t carry anything stronger. If you are travelling by car and find a wine to add to your collection, you do need to be careful about transporting it with you. The idea is to keep the wine at a steady temperature so rather than pop it in the boot, where the temperature is variable, keep it inside the car where you can maintain a steady heat easier. It can also be a good idea to bring wine into your room when you stop for the night. This again helps to keep a consistent temperature as vehicles get hotter when they are sitting or might get too cold if you are somewhere that the nights are chilly. 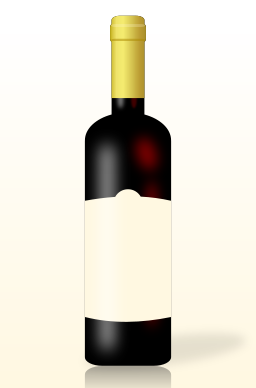 Keep bottles either on their side or upside down in order to keep the wine close to the cork and prevent it from drying out – this leads to oxidation and spoils the wine. If you feel the temperature is too high, then use a cooler but put ice packs in it rather than submerging the bottle in loose ice as this can destroy the label. As well as looking after your new acquisitions while you travel, don’t forget to make provisions for your existing collection while you are away. For security and to ensure the best storage conditions, it can be advisable to use professional wine storage for your collection while you travel. That way, the wine is kept in optimum conditions, with the right heat, humidity and light and you don’t need to worry about your home being targeted by wine thieves, a sadly growing problem around the world today.